High Blood pressure or Hypertension means the increased pressure of the blood on the walls of the arteries. Your blood pressure naturally goes up and down all the time depending on your work and lifestyle. If the blood pressure between 120/80 mmHg and 139/89 mmHg, is considered as Prehypertension. If it is above 140/90 is considered as Hypertension. 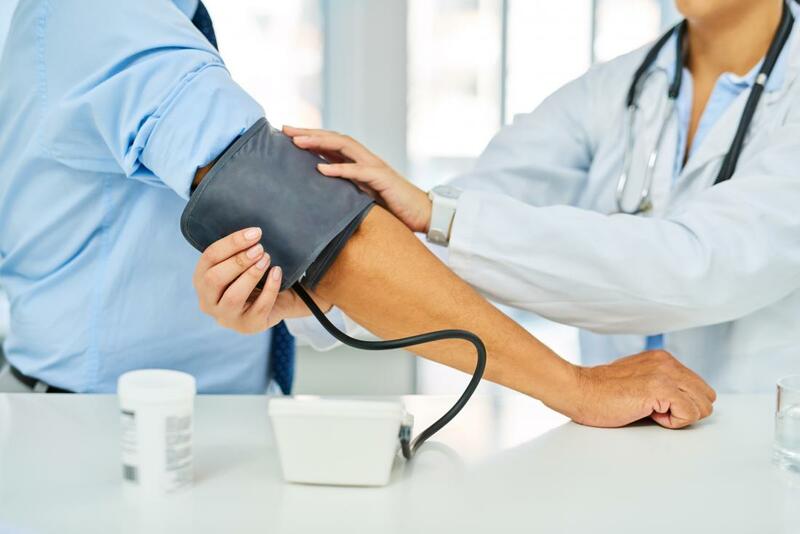 If the Blood pressure is high over a long period of time can causes heart diseases by making the heart work hard to pump blood in the body and hardening arteries causing atherosclerosis, Stroke, Kidney failure, and heart failure. As per the best nutritionist in Delhi, there are many reasons for an increase in blood pressure: Family history, Unhealthy eating pattern, Obesity, Lack of physical activity, History with high cholesterol levels, More alcohol intake, stress, and some medications can increase the Blood pressure. How to lower Blood pressure through proper diet? Magnesium helps blood vessels to relax by lowering blood pressure and helps in calcium and potassium. Polyunsaturated fatty acids or omega -3 fatty acids helps in lowering LDL cholesterol in the blood vessels preventing the formation of plaque in the vessels and narrowing the vessels and increases HDL cholesterol. Diet plays a major role in bringing down your blood pressure. The specially designed diet to lower the blood pressure known as the DASH diet means Dietary Approach to Stop Hypertension. DASH diet, not only helps to treat the Hypertension but also helps to prevent Osteoporosis, Cancer, Heart disease and diabetes. Whole grains like brown rice, pulses, legumes, beans, etc help in reducing weight and helps to lower the LDL cholesterol, reducing the damage to the blood vessels because of its high content of fiber and other nutrients like Potassium, Iron, Magnesium and Selenium. Vegetables and fruits are full of fiber, Vitamins, and minerals like potassium and magnesium. To lower the blood pressure, we should at least include 5 portions of fruits and vegetables per day. Vegetables can be not only made as subzi, but also can be given in the raw form i.e salads. Canned fruits and vegetables can be avoided as they contain more sodium in it. The vegetable like kale, spinach, lettuce are rich in potassium and beetroot is rich in Nitric oxide helps to open up the blood vessels lowering the pressure. Some of the fruits rich in potassium like banana, orange, cantaloupe, and berries rich in flavonoids, pomegranate rich in Nitric oxide and antioxidants help to lower the blood pressure. Nuts and seeds are rich sources of PUFA, fiber and vitamins and minerals like potassium, magnesium, selenium. One of the main reason for high blood pressure is diet rich saturated fat, which builds up plaque, narrowing the vessels. Nuts are rich in PUFAs helps to reduce the LDL cholesterol by increasing the HDL cholesterol (Good for Heart). The fiber and other nutrients help to reduce the risk of Cardiovascular diseases. Fish like Tuna, salmon, mackerel are rich in omega -3 fatty acids which help to lower the blood pressure by reducing LDL cholesterol. The biggest cause of High blood pressure is eating too much salt. The more salt the more your blood pressure will be because salt makes your body retain more water. If we eat too much salt, more water and sodium accumulate leading edema causing the high blood pressure. The Dietary Guidelines for Americans recommends limiting sodium intake to 2300 mg per day which is equal to 1 teaspoon of salt. We can reduce sodium-free spices or flavoring with your food instead of salt, Avoiding canned foods, processed food, and fast foods. Dairy products like low-fat milk, curd, paneer are rich in calcium; vitamin D helps in lowering the blood pressure. It is very important that the milk should be skim or low fat to avoid saturated fat. There are two types of fats i.e saturated and unsaturated fats. Saturated fats make more cholesterol in the body. Too much cholesterol in blood builds up on arteries, narrowing them and increasing the blood pressure. It is found in red meat, butter, ghee, cheese, coconut oil, and palm oil. Unsaturated fats like polyunsaturated fats and monounsaturated fats found in olive oil, sunflower oil help to lower the cholesterol. Best sports nutrition plan should take care that too much consumption of alcohol increases the blood pressure. Alcohol contains too many calories which will lead to weight gain and result in increased blood pressure.